If you have recently caught the blog bug, here’s a conundrum you might be facing. You have a bunch of good ideas for both content and topics, but they lack cohesion. You’ve written a few posts, but you aren’t sure of how good they are. You’re new at this, so it’s a little intimidating – what do you do? 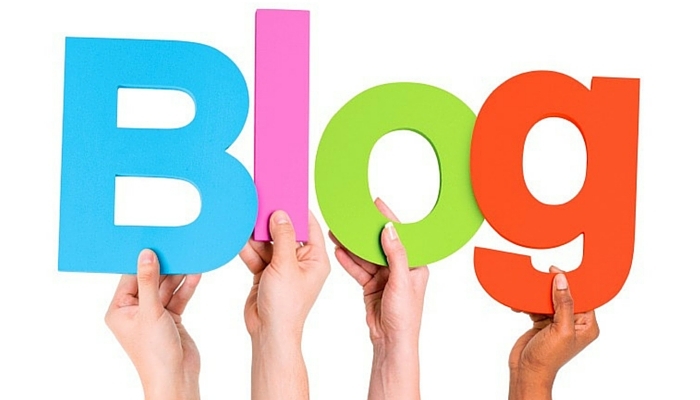 For veteran blog owners, you’ve got a blog going, but it’s a little stale as of late. You’ve got a lot to say, but you often aren’t sure of exactly how to say it anymore. You’ve also found that your last few posts haven’t been getting the traffic that they usually do. How do you climb out of this blogging rut? Honestly, no matter where you fall on the scale – be you a newbie or a seasoned pro – every blog writer will at one point in time find themselves asking “how do I get people to read my blog?” Whether this is a question asked in frustration with your hair in your hands, or it’s a pensive thought before you sit down to craft a piece, it’s an excellent question. Blog reading isn’t just about simply vomiting up some words and hoping someone searches for keywords that lead them to your site. No, blogging takes thought and effort. This is a job of sorts – you don’t call it upchucking a blog, you call it crafting one. You have to put a lot of TLC into your blog content in order to make it more successful. If you’re tired of seeing viewer counts in the single to triple digits, these five methods will help you acquire those whale numbers you’re looking for in your blog analytics stats. Let’s discuss this simple question: who do you write your blog for? If you simply stated something like “anybody,” or “everybody,” well it’s no wonder your blog is failing. There is not a shred of content in this world that is universally appealing, especially in terms of blog content. You aren’t writing for personal fun, either – this is about growing the visibility and traffic of a business. Your audience has to be hyper-focused. You do this by asking yourself some key questions and it all boils down to discovering who your audience is. Are you writing for men or women? Both? What age group will read this? What interests do they have? How will they find your content? When you better understand your audience, you better understand how to craft content they want to read. Sometimes you can’t help but have to write about topics that bore you, especially if you’re working for a business blog. If you’re writing for a clothing store, for example, it’s certainly fun to write about current trends and celebrity fashion watches – but it’s also boring to have to write the occasional sustainable material article, as well. In general, though, your talent as a writer really shines through when you’re writing things that you enjoy. This isn’t something you can do all the time, but if you consistently find that you’re writing content that you have little to no interest in, something’s gotta give. A common flub up in the world of blog writing is removing yourself from the content piece. While some businesses may prefer to keep things astute (and you should always follow your directives), remember that readers are interested moreso in a conversation than an essay when they’re reading a blog. Unless, of course, your style is way different from this example. In general, you should write as you would for any other piece of content when you write for a blog. If your style is more detailed, cut and dry, factual and business-like, then that’s you. Just remember that there’s also nothing wrong with being conversational, flowery and humorous, too. Don’t be someone you aren’t in your writing. Let your own personal style shine through in a way that still follows orders. Blog writing is all about getting the reader hooked from the jump. You don’t need to worry about crafting the most interesting paragraph in the world right in the middle of your content piece – no, it’s all about the beginning. A blog needs a sharp opening line, followed by some tying sentences that create a paragraph that makes a reader want to continue on. Most readers focus on the first few paragraphs and then split, so when you make these count? You keep them on the page. Here’s a tip – never title a piece until after you’re done writing it. Once you’re done, go back and choose the most valuable content title and stick with it. Sometimes, though, you don’t get a choice – especially in the world of business writing. It’s often that you’ll have to pitch titles before you actually write anything, so the title has to really count right out of the gate. A title should be informative but teasing – you want the reader to learn what they’ll get from the piece, but not enough that they’ll simply read it and leave. Compare “Social Selling is All the Rage” to “Here’s the New Marketing Strategy that Can Make You Millions” – which would you rather click on?